Irving Schlein was an American composer who lived and worked his entire life in New York City. 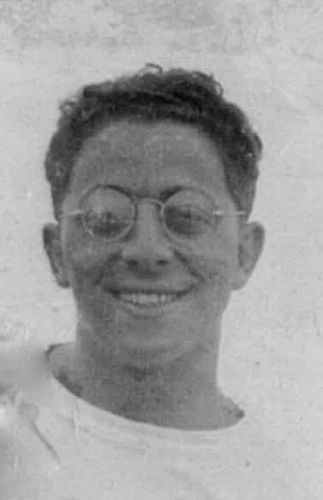 He was born in 1905 into the poverty of the Russian-Jewish immigrant community of the Lower East Side of Manhattan. Schlein played piano for the silent movies to support himself as a student. He received his first degree in piano from the New York College of Music in 1928, where he studied with the Director, August Fraemcke, who was one of the last two living students of Franz Liszt. In 1930, he received a second degree in piano from the Juilliard School of Music. He later had fellowships to study composition with Wallingford Riegger and Roger Sessions at the Chatham School of Music and with Aaron Copland and Roy Harris at the Henry Street School of Music. In a Composers' Forum Laboratory recital on 17 April 1940 at the Lenox Gallery of the New York Public Library (a Works Project Administration Music Project), several of Schlein's pieces were performed—his Sonatina for viola d'amore and piano, a string quartet and two songs, “Alabama Lullaby” and “Git awf mah back”, sung by baritone Jess Walters, who later became famous at Covent Garden. In a 1947 competition, with Paul Hindemith as one of three jurors, Schlein’s "Dance Overture" won First Prize in the category of short orchestral works, awarded by the American Composers Alliance, Broadcast Music Inc.
From the age of 32 until his death almost 50 years later, Schlein wrote incessantly. Among his hundreds of compositions were nine symphonies and many other orchestral, chamber, instrumental, choral and operatic works. Professionally, Schlein had a successful parallel career on Broadway for over 30 years, where he served as Musical Director, pianist, arranger and composer. In 1930-1932, he worked with Al Jolson as his pianist. He was associated with many musical hits, including Lerner and Lowe’s "Brigadoon" and Cole Porter's "Can-Can" and "Silk Stockings”. In the 1940s, he developed a close collaborative relationship with Kurt Weill as his assistant. He wrote the ballet music for his musical, “Love Life”, and directed a revival of Weill’s and Maxwell Anderson’s “Knickerbocker Holiday”. Schlein's experiences on and off Broadway with music outside the classical genre had a major impact on his classical compositions. Because he was fundamentally an entertainer, he had great empathy for audiences and therefore wrote “accessible” music. His most productive period of chamber music and symphonic works continued until the mid-1950s. He later shifted much of his interest to writing music for theatrical works. He wrote music for two plays, “The Bell and the Light” and “Madison”, written by the well-known African-American playwright and Guggenheim fellow, Theodore Ward. Schlein’s vocal works also include the folk-opera "Stackalee", "Money", "Blue Grass", "Johnny Merripranks" and "My Heart’s in the Highlands" (based on the life, poetry and songs of Robert Burns). He enjoyed producing these pieces with his students in the New York City school system, where he taught music and English for many years after his Broadway period. In 1965, he transcribed for piano the 1867 Allen, Ware and Garrison collection of “Slave Songs of the United States”. In 1968, he completed a full-length dramatic opera, “Salammbo”, based on Flaubert’s novel. When Irving Schlein died in 1986, he left behind classical music works that were mostly unknown to his contemporaries. He had not been very successful in promoting himself. Fifteen years after his death—from 2001 to 2008—a major recording project of Schlein’s works was undertaken in St. Petersburg, Russia by his son, Peter Schlein. Thirteen CDs have been produced, containing all his chamber works and recordings of his orchestral works by members of the St. Petersburg Philharmonic. 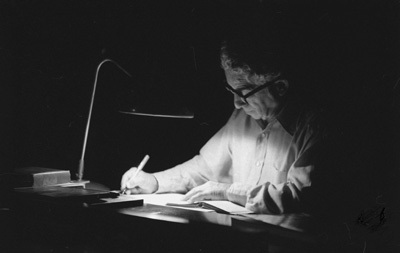 Based on the enthusiasm of important European and American artists and subsequent audience reactions, it is clear that Irving Schlein represents a “New Page in American Music.” The rediscovery of his music offers an opportunity for musicologists and audiences alike to experience the vision and creativity of one of the 20th century’s great American composers. Unlike much contemporary music, the classical works of Irving Schlein are full of radiant optimism and energetic vitality, characteristics typically associated with the American nation. These spirited qualities are often intertwined with an innocent, utopian character. In many of his musical compositions, Schlein reacted to events in American and world history, as well as in everyday life—slavery, World War II, the Holocaust, the plight of immigrants, the American Civil War Centennial, the Pioneer-10 satellite launching, his recovery from a Staphylococcus infection (“Ode to Staphylococcus”), the publication of a book on “Mathematics in Western Culture”, the cleaning of Grand Central Terminal at night by the “Mop Crew” and others. His eclecticism knew no bounds. He wrote “Man & His World”, a work for narrator and piano, based on Upton Sinclair’s book, “Cry for Justice”. Listeners and performers often comment on the serenity and sincerity of Irving Schlein’s music. Its profound energy, deep emotions and convincing democratic orientation attract both professionals and music lovers. It reveals a new shade of color in the rich palette of American music. Schlein’s music exhibits American and European influences. The Russian musicians who were part of the project to record Schlein’s music—Principals of the St. Petersburg Philharmonic, Professors at the Rimsky Korsakov Conservatory and leading soloists—recognize the American content of the music. Americans, on the other hand, detect eastern European qualities. From his earliest works, Schlein created his own style full of diatonic and polytonal parallelisms, long curve-like lines, sporadic melodies and unexpected dance formulas. He used an expressionistic idiom coupled with popular rhythms and foresaw the voguish poly-stylistics of the 1970s. 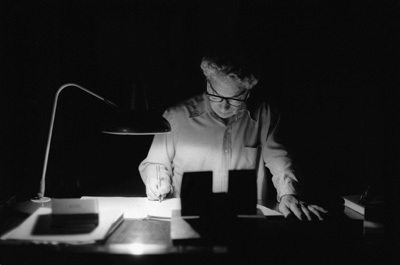 Aside from his teachers, influences on Irving Schlein's works can also be found in the music of Bartok, Hindemith, Shostakovich and Stravinsky. However, Schlein has his own unique style, which places him among the great American composers of the 20th century. In 1998, Schlein’s comprehensive body of work for ancient instruments was performed by the Viola d'amore Society of America. That same year, his “Dance Overture” was performed at the University of California, Los Angeles, under the direction of Stephen Tucker, who repeated its performance six years later, in 2004, at the University of California, Irvine. In 2003, Schlein’s Symphony No. 6 was performed by the UCLA Philharmonia under the direction of Maestro Jon Robertson, and his Divertimento for Two Violas was performed by Paul Neubauer and Scott Lee at the “OK Mozart” festival in Bartlesville, Oklahoma. In April 2003, Schlein's “Sonata Hebraica” for Viola and Piano, and his Songs for Voice, Viola and Piano, were performed in St. Petersburg by Andrey Dogadin, Victoria Yevtodieva and Pavel Eliashevich. The same concert was reprised in July 2003 in Helsinki. On 5 January 2008, Schlein's Symphony No. 7 and Piano Concerto No. 2, recorded by members of the St. Petersburg Philharmonic and the pianist Galina Sandovskaya, were broadcast on radio station WRTI in Philadelphia. On 5 March 2008, Paul Coletti and Bernadene Blaha debuted the Sonata Hebraica in the U.S. at the Tucson Winter Chamber Music Festival. On 6 June 2008, Paul Coletti played the world premier “Rhapsody and Dance”, which was arranged for viola and strings by Bruce E. Miller from the Sonata Hebraica, at the 36th International Viola Congress in Tempe, Arizona. And On 18 June 2008, violinist Ilana Setapen performed Schlein’s Sonata No. 2 for Violin and Piano at the Dame Myra Hess Memorial Concerts in Chicago.